← Friends of the Earth? I’m back again at St. Oswald’s, Whitby, not on retreat but here for ten days to do some writing. I love the place and the Sisters here. Self-catering in a little cottage in the grounds overlooking the Esk Valley, cut off from internet facilities and with a poor mobile signal creates the right environment for prayer, reflection and writing. As with last year at the IBTS Seminary in Prague, I leave my cottage and walk up the hill to share in the daily offices. En route I stayed overnight at Cranmer Hall, Durham before giving a lecture on leadership the following morning. 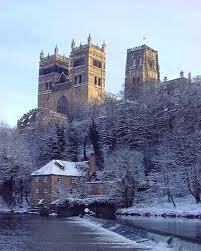 The college is just behind Durham Cathedral, the shrine of St Cuthbert and is a focus of pilgrimage and spirituality in North East England. It’s a remarkable sacred space set in the wonderful natural landscape on top of a hill overlooking the city. I then travelled by train to Whitby, another famous Celtic heritage site and I am conscious of the Celtic Saints, men and women whose influence profoundly shaped the spirituality of Northumbria. I love the rhythm of the monastic day; its disciplines provide balance and a healthy pattern that I personally find very life-giving. I love the spirituality of the Order here, that rooted in the traditional vows of poverty, chastity and obedience, with a particular commitment to prayer and hospitality, is free from the legalism and religiosity that sadly prevails in some communities and churches. I am welcomed with hugs, laughter and afternoon tea and soon after quickly settle into the seclusion that my cottage affords. Its strange really, that whilst missing home and Shirley my wife, there is something very significant for me in setting time aside and coming away to write. In this context words flow and the stillness triggers much creativity and a myriad of thoughts that I’m able to put to “paper”. I sense something of an evolving and changing role for me within the Community, still wandering for the love of Christ sharing and telling the Community’s story wherever the Father leads but with a greater desire to write and resource the Community, to help equip and release both present and future generations in their calling to Availability and Vulnerability. I am currently working on a book on spiritual formation, which I hope and pray will help people to embrace the Great Commandment, to love the Lord your God with all your heart, soul, mind and strength and love your neighbour as you would love yourself; something I hope will encourage believers but also, like the Community, connect with others seeking God, who are exploring issues of life and faith and searching for meaning and purpose in their lives. I am mindful of the phrase “one drop of ink can make a thousand think” and I hope my small contribution (well it’s not that small because I am currently at 62,000 words!) will serve to encourage and help people in their life and faith. I am so glad that I resisted, what was at the time, the opportunity and temptation to write earlier in my life and ministry. Not only would I have written out of more enthusiasm than experience but probably for the wrong reasons, i.e. opportunism and self-promotion. Now I feel a bit like a young grandfather, (something that I am, as one in his 50’s with five young grandchildren), a leader within the Community who having been around from its beginnings can share insights and reflections, wisdom and hopefully inspiration, for the emerging generations for whom the future holds much promise amidst many challenges. I am mindful of the words of C.S. Lewis who once said; “Think of me not as an expert but as a fellow patient in the same hospital, who having been admitted a little earlier can pass on some information”. I was just about to preside at the Eucharist here at St. Oswald’s with the lectionary readings, collect and post Communion prayer on my Iphone when I noticed a text come through which informed me that my former church had literally just voted to call a woman to join the leadership team. As I welcomed the nuns to the Eucharist, I shared with them and we rejoiced at this joyous news. Celebrating at St. Oswald’s in a chapel whose windows tell the story of the Celtic Saints, it did not seem inappropriate. In the 6th century Hilda, a nun, was persuaded by Aidan, then Bishop of Lindisfarne to stay in Northumbria rather than travel to France. Founding a small community on the banks of the River Tyne, she then moved to Hartlepool and later here to Whitby where she hosted the famous Synod in 664 where the decision was made to follow the Roman way of worship rather than the Celtic way. 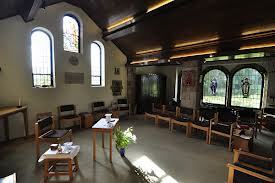 The monastery was also the home of Caedmon, the cowherd, storyteller and arguably the father of English poetry. Under her leadership, the double monastery here at Whitby trained many in the monastic way, several of whom became bishops. In a period of history that was characterised by violence and conflict, she created peace. In a period when few were rich and many were poor, she treated all with equal respect. In a time when many did not know Christ or his good news, she trained many to share the gospel. St. Hilda’s Priory is now the home of the Order of the Holy Paraclete, an Order of women seeking to follow in the footsteps of Hilda. I think we will look back in history not only herald the lives of women who shaped the world for good but also look back in horror that the voices and contribution of women were not heard or were disregarded or suppressed. At the weekend I was speaking to a group, mostly of men and during our time together, one of them, a highly successful businessman, (if you measure success by financial wealth) questioned the validity of the communities like our own and particularly cloistered communities that lived in monasteries and convents. I spoke about the value and efficacy of prayer, hospitality, reflection, contemplation in a world of action and its fruits of wisdom. The creating of space and time to be, to think and feel, observe and pray. I cited some examples from the world of politics, economics, foreign policy, referencing particularly some of the attitudes and actions of bankers and other financial institutions, which all might have served the world better with some elements of contemplation and applied wisdom. Little did I know at the time, that I was speaking to a former director of Northern Rock. I rest my case! I was reminded the other day of the story I first heard years ago when Shirley and I were studying Bible college. Helen Ewing was a young woman who came to faith in Christ in Scotland. She had a longing and felt the call to prepare for missionary work in Eastern Europe and learnt Russian. She was a prolific writer although she never wrote a book, composed a hymn or song, was no great preacher and never travelled more than 200 miles from her home in Glasgow. She died sadly the age of 22 and there followed an overwhelming wave of grief that touched thousands of people. In a period of seven years, this young woman had taken to heart those who had responded to Jesus command to, Go into all the world and make disciples, missionaries who shared the good news of the Christian faith with others. Helen arose early every morning and prayed for them and in the evenings would write to many of them. Her diaries revealed over 300 different people for whom she was praying. She never left Scotland but her life and prayers touched so many people and through them many thousands of people were reached with the good news of the faith that she lived and died by. I think of the nuns here, many who have travelled, several spending lengthy periods in Africa but now, the vast majority of them, “confined” to the convent here in Whitby. Each day they gather formally to pray and to intercede for the world, they carry in their hearts and prayers so many people. They welcome guests and strangers, seekers and pilgrims, increasingly people searching for faith but disillusioned, disheartened or bruised by their experience of church or others who with existing patterns and practices of church life have no connection with their spiritual journey but who find in places such as this, a welcome and environment that is safe and conducive to discovering and encountering God. I am mindful also of a Companion in our Community whom I was privileged to spend some time with recently when I was down in the south-west. I was at a ministers conference as a result of her suggesting I be invited to be their keynote speaker. We had met briefly before at Nether Springs and when I have been down to a Community Gathering or Group in Devon or Cornwall. One the joys and privileges of being in Community is holding people before God each day from our Prayer Guide. My travels afford me lots of opportunities to meet with Companions and Friends “on their own patch” and it was really good to have shared with her, learned more about her remarkable life story and faith journey, which included being widowed in her 30’s with five children and her very reluctant response to God’s call to church ministry. She is now in Cornwall, carrying a passionate heart for the renewal of the faith that was brought by the Celtic saints. She didn’t tell me this but one of the other leaders told me that she had gone to a place where others simply wouldn’t go. Creative, eccentric, with a servant heart she is enthusiastic with an optimism that would even exceed my buoyancy and in her Availability and Vulnerability she epitomizes the vocation of what it means to be a Companion. She, like the vast majority in our Community experiences much more of the alone than the together, yet, as she describes in her own words, the Community is her lifeline. Our covenant and Rule of Life informing and shaping her life and ministry. My prayer is that in our sharing of the Community’s daily offices, telling some of the stories of the Celtic saints and helping people to see how our spirituality connects with life today in an emerging post-Christendom Western world. In the turbulence of change both within the church and wider society, with many challenges, we may come to see that in the lives of those whom society often ridicules or regards as irrelevant, that paradoxically, it is these women and men, who hold the things of real worth and significance together and act as prophetic signs, pointing us back to God and the ways of his kingdom.